• Wear long-sleeved shirts and pants and treat clothing with permethrin. • Eliminate standing water inside and outside your home. • Use screens on the exterior of your home to keep mosquitoes outside. • Repair and seal your septic system. 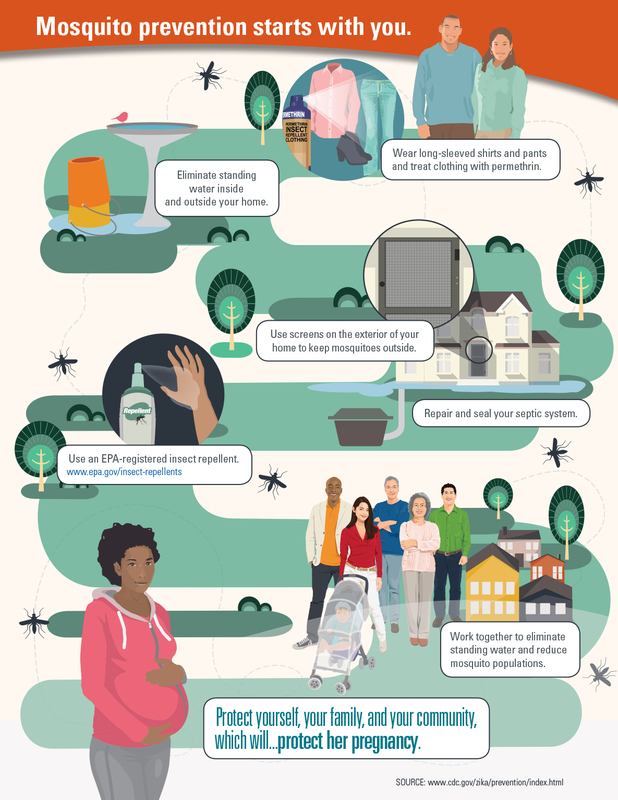 • Work together to eliminate standing water and reduce mosquito populations. • Protect yourself, your family, and your community, which will...protect her pregnancy.